Our Favorite Weather Apps for iOS | Stahancyk, Kent & Hook P.C. If you like to keep track of the weather locally, or when you are traveling, here are our favorite weather apps. Why so many? They each are good for different things at different times. Save locations in advance so you can quickly check the weather where your distant friends and family live, as well as for any place you might be traveling to. All of these apps are free or just 99¢ from the Apple App Store. This is one of the few apps that displays weather radar and weather alerts. Turn on playback for the radar map to see which way the rain is moving. 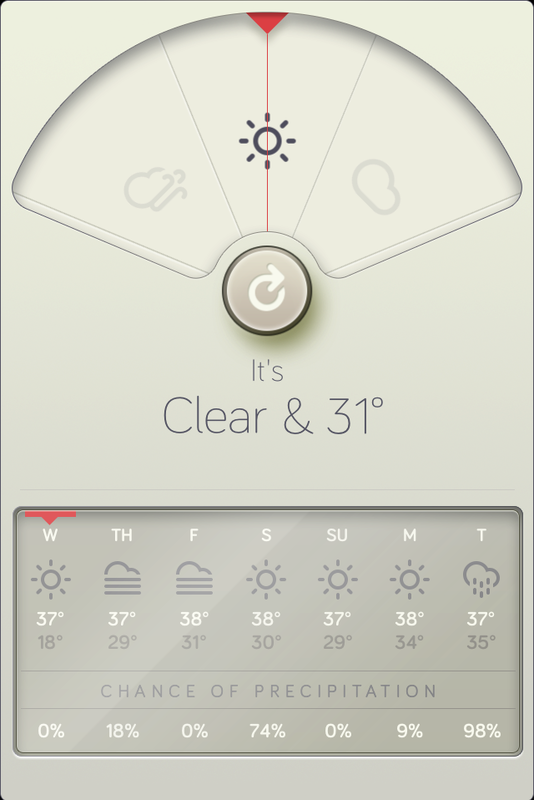 This app gives you the weather broken down by day. Tap on a day to get a hour-by-hour breakdown. This is the built-in app from Apple included on all iPhones. It is very basic but handy when you need a location-based weather report. Really simply and easy to use. Also shows how likely it is to rain along with sunrise and sunset times. Another really straightforward and easy to read app. This has been really helpful in finding good snow for skiing, snowboarding, sleding, and more.